I don't write about comics much these days, but like to pass along the occasional recommendation when I find something interesting. I think this qualifies. 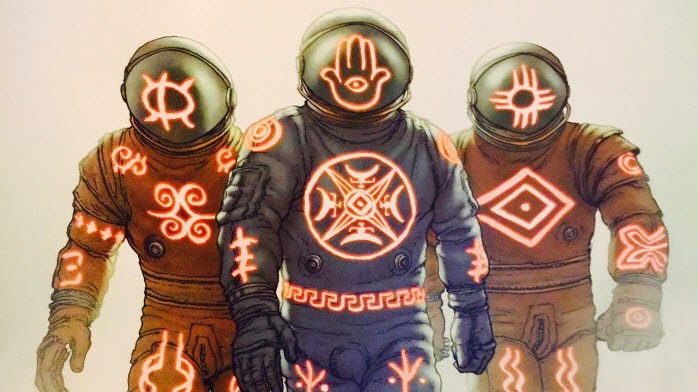 The first issue of NAMELESS, a new comic series from Image by Grant Morrison, Chris Burnham and Nathan Fairbairn, hit stores last week. I've heard comic books called the crack cocaine of literature. If that metaphor works for you, then NAMELESS is literary mescaline. It's the kind of thing H.P. Lovecraft might have written had he been part of the Beat Generation. NAMELESS is pro-level weird. LINK.